We see a whole lot of interesting authors and book proposals on a daily basis. Yet, we feel there is a lack of diversity of voices — not just within our own work with authors and book proposals–but within the wider book publishing industry. 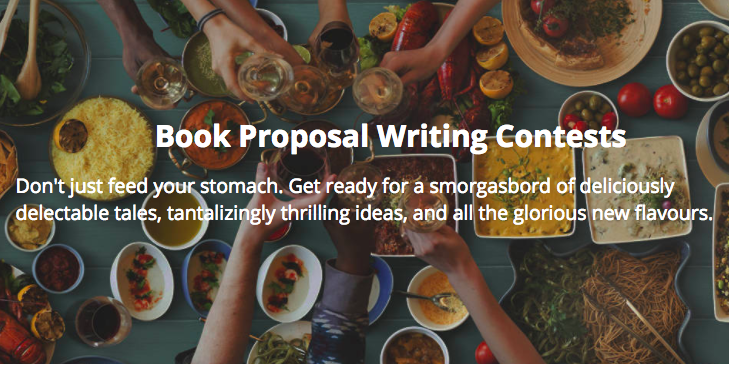 To address this issue, we’re launching book proposal contests in 2017 on topics that are hot and interesting, but also widely under-represented in book publishing. Here are the contests. First and foremost, we’re starting with LGBTQ authors and stories in January. We’ve already had number of LGBTQ authors use Publishizer, and we want to see more! During my time at 500 Startups in Silicon Valley, their fouder Dave McClure publicly championed LGBTQ founders and startups, and we want to do the same for authors and books. So, we decided to launch Queerly Lit, a book proposal contest that shines the light on LGBTQ authors and stories. From the Stonewall riots in the 1960s to the legalisation of gay marriage in 2015, the fight for LGBTQ rights has seen distinct progress over the years. We’re lovers of all things rainbow and proud supporters of equal rights for all, but it remains clear that true equality is still a long way ahead. Anti-gay laws in Russia allow for the torture of gay teenagers and the detention of foreign citizens believed to be gay or “pro-gay”. Similar discriminatory laws in Africa mean increasing persecution and violence against the LGBTQ communities there. Today, there are still more than 75 countries where homosexuality remains criminalised despite growing international support for change. Publishizer wants to find and amplify LGBTQ voices. We believe more colours in the rainbow spectrum of our existence needs to be represented and seen. During my stint in Silicon Valley, I was exposed to the ubiquity of psychedelics for the purpose of creativity, productivity and overall ‘big picture thinking’ that characterise many startup founders and executives. Organisations like MAPS are championing research into MDMA to treat depression, anxiety and post-traumatic stress disorder. The validated medical potential of LSD and ayahausca bluntly challenge their Schedule 1 drug classification, which literally means they are considered to hold ‘no medical value’. We believe this is straight up wrong, especially as a legal obstacle to further scientific research and publication. We want to raise awareness of the potential of psychedelics, marijuana, ayahuasca and other traditional plant medicines through Up The Rabbit Hole, our second book proposal contest that aims to explore unchartered realms of consciousness. With an increasing number of people coming out to share their experiences, it’s essential to keep an open mind and remember that change is necessary for progress. Francis Crick attributed his discovery of the DNA double helix to the use of LSD. Author and entrepreneur Tim Ferriss takes psilocybin mushrooms once a year to “reset”, and even launched a campaign to raise money to fund a pilot study on the use of psilocybin to treat depression last year. The cosmologist Carl Sagan himself was a regular marijuana user, claiming that it increased his creativity and insights. These are all motivated, established individuals of society — a far cry from the tripped out, dead beat addicts reviled and shunned by many. Queerly Lit book proposal submissions open in January 2017, and Up The Rabbit Hole submissions open in March 2017. Recommend this article and Follow The Shiz to receive more details and updates as we get closer!